Here is another cool meme I found in the category of "Studying with friends". The two captions are "Expectation" and "Reality". 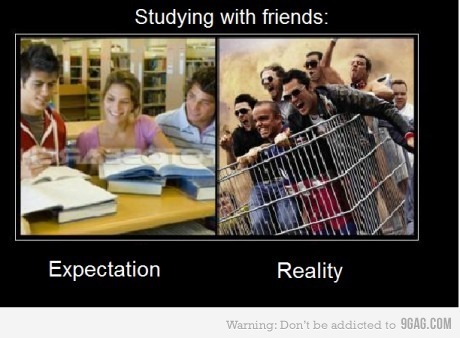 Studying with friends meme: expectation vs. reality. If you like these types of memes, just let me know and I will try to post more.